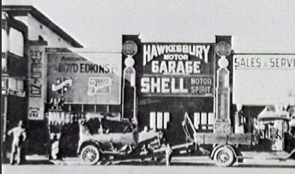 This single story building was built in 1923 by H A Clements, who took advantage of a burgeoning industry and opened a motor garage, supplying fuel and mechanical services. The business operated for 50 years. 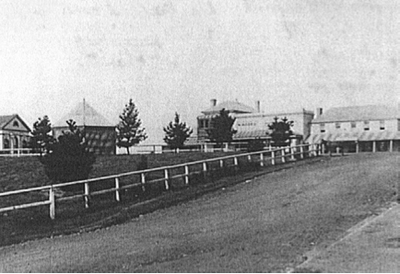 Previously on this site had been the Sir John Young Hotel, which was built in 1865, then demolished in 1915 following a fire in 1913. 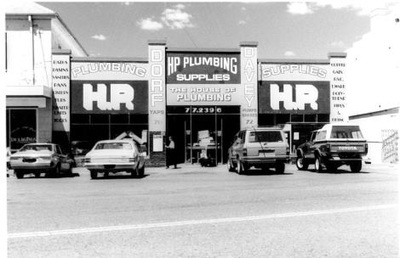 From 1973, the building was used to sell plumbing supplies. In more recent years the building has been converted into three premises that form part of the eatery at Thompson Square.